Freeman was born in a house in the Regent's Park neighbourhood of London on 19 February 1915, the son of a barrister. The family later moved to Brondesbury. 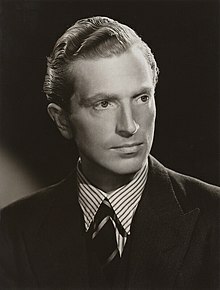 He joined the Labour Party whilst a student at Westminster School in the early 1930s, and later obtained his degree at Brasenose College, Oxford. He worked for a time at the advertising firm Ashley Courtenay. Originally, Freeman was on the Bevanite left-wing of the Party, although also supported by Hugh Dalton who liked to go 'talent-spotting' among young MPs. He rose quickly through the ministerial ranks, but resigned along with Aneurin Bevan and Harold Wilson in 1951 over National Health Service charges. He stood down as an MP at the 1955 general election. While Harold Wilson was Prime Minister, Freeman was appointed the High Commissioner to India (1965–1968) and Ambassador to the United States (1969–1971). During his time in Washington he became fast friends with Nixon and Henry Kissinger, and a staunch fan of the Washington Redskins. He was appointed to the Privy Council in 1966. When Morgan Morgan-Giles died on 4 May 2013, Freeman became the oldest surviving former MP. He was the last survivor of those elected to Parliament in 1945. Following the death of Tony Benn on 14 March 2014, he was also the last surviving member of the 1950 parliament and the last surviving MP under George VI. ^ a b c "Journalist John Freeman dies at 99". BBC News. 20 December 2014. Retrieved 20 December 2014. ^ a b c Purcell, Hugh (7 March 2013). "John Freeman: Face to face with an enigma". New Statesman. Retrieved 21 December 2014. ^ a b c Pruden, Wesley (2 January 2015). "Success in a curious turn in Washington". Washington Times. p. B1. ^ "No. 38093". The London Gazette. 10 October 1947. p. 4753.